AMES, Iowa – Sweet corn breeding has lagged behind advances in field corn due to its smaller market footprint, but an agronomist at Iowa State University is contributing to a national effort aimed at narrowing that gap. Researchers at the University of Florida, University of Wisconsin, Washington State University and Iowa State recently received a four-year, $7.3 million grant from the U.S. Department of Agriculture to support sweet corn breeding with innovative technology and methods. The project aims to identify sweet corn genetics that will lead to tastier varieties that can stand up to environmental stress and last longer on store shelves. USDA scientists also will contribute to the research. Thomas Lubberstedt, a professor of agronomy, will work on applying doubled haploid technology to sweet corn breeding. 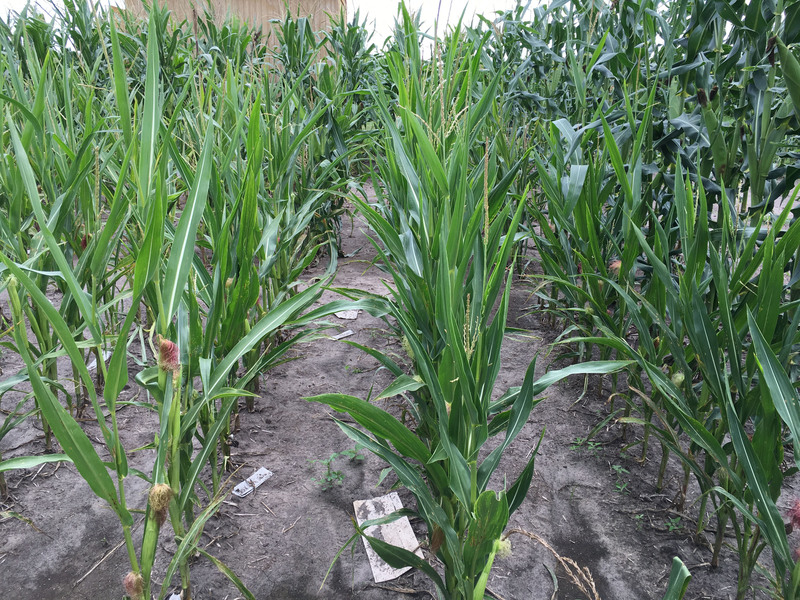 Doubled haploid technology allows for faster production of purely inbred lines of corn. Inbred lines, which are used to breed hybrids, have two copies of the same genome. Developing inbred lines via the traditional method of self-pollination takes several generations to arrive at a suitable result. Doubled haploid technology sidesteps much of that time to produce inbred lines quickly. Lubberstedt said sweet corn poses several challenges not present in field corn. Among them is the fact that subtle traits such as taste and texture make a world of difference for sweet corn but matter less, if at all, for field corn varieties. He also noted there are different requirements for breeding sweet corn for the fresh market and for processing as well. The smaller scope of specialty crops like sweet corn compared to field corn or soybeans means fewer resources have been devoted to breeding programs, so plenty of unknowns remain, he said. Through test panels run by Charles Sims at the University of Florida, researchers will hone in on tastes, aroma and texture that consumers like. Study participants will sample a diverse range of sweet corn varieties and rate how much they’d be willing to pay for them, which will inform an economics component of the research. Mark Settles, a professor of horticultural sciences at the University of Florida’s Institute of Food and Agricultural Sciences, will lead the project. The funding comes from USDA’s National Institute of Food and Agriculture Specialty Crop Research Initiative. Shorter haploid corn plants, which include only a single genome, are surrounded by taller, diploid corn plants with two genomes. Photo by Alejandro Ledesma. Larger image. An ISU agronomist will contribute to a multi-institutional effort to make advances in sweet corn breeding. Thomas Lubberstedt, a professor of agronomy, will work on applying doubled haploid technology to sweet corn, which will allow for faster production of purely inbred lines of corn.